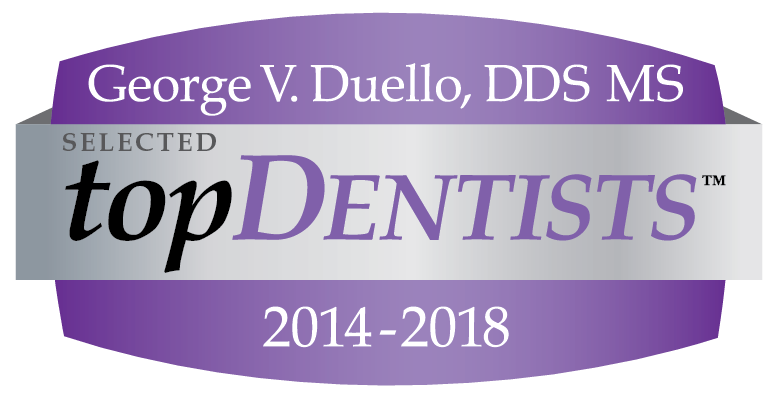 Dr. George V. Duello and his experienced staff have provided the St. Louis community with high-quality implant and periodontal treatments since 1981. We provide personalized treatment plans to restore the health and function of your smile. Building on a foundation of trust, we support our patients, giving them the care they need while treating them with dignity and respect. As one of the first periodontists in the United States to provide surgical guided implant placement, Dr. Duello is skilled at replacing teeth to restore the health of your smile. We offer a range of advanced treatment options that are tailored to each patient's needs. Our facility in Sunset Hill is equipped with the latest in dental technology to help restore patients’ quality of life. We are dedicated to delivering care in as few appointments as possible, whether by immediate placement of implants after extraction or working in collaboration with other healthcare providers. Dr. Duello and his team in St. Louis are recognized as experts in the field of periodontics and implants. We build and co-manage your dental care with referrals from general dentists and other specialists. We stand by our excellent dental care and educate our patients so they can make the best decisions for their oral health and smile function. We facilitate a conversation with our in-depth consultation process, and welcome questions and concerns so we can cater to your needs. At Masters Institute of Implants and Periodontics, we are proud to provide dedicated patient care that restores the health of your smile and minimizes your time away from work and family. For more information or to schedule a consultation, contact our St. Louis periodontics and implant dentistry practice today. Masters Institute of Implants and Periodontics and Dr. George Duello, a boardcertified dental specialist, provides periodontal implant dentistry service to residents of the greater St Louis area including many surrounding cities in Missouri and Illinois such as Sunset Hills, Clayton, Brentwood, University City, Frontenac, Kirkwood, Ladue, Town & Country, Maplewood, Chesterfield, Creve Coeur, Ballwin, Des Peres, Olivette, Richmond Heights, Webster Groves, St Louis City, Central West End, Rock Hill, Florissant, Hazelwood, Crestwood, Fenton, Sunset Hills, Eureka, Manchester, Maryland Heights, Arnold, Hillsboro, Rolla, Union, Pacific, Ellisville, Columbia, High Ridge, Washington, Glencoe, Festus, St Charles, St Peters, O'Fallon, Wildwood, Oakville, Afton, Concord, Dupo, Belleville, Milstadt, Wentzville, Collinsville, Granite City, Scott AFB, Olivette, Oakland, Glencoe, Gray Summit, St. Clair, Desoto, Crystal City, Festus, Imperial, Glendale, Shrewsberry, Earth City, Sullivan, Bourbon, Leasburg, Cuba, St. James, Beaufort, Augusta, Defiance, Lake Saint Louis, Forestell, Wright City, Warrenton, Saint Louis County, West County, Mid County, North County, South County. Masters Institute and the general dental and specialist partner teams we partner with to provide care are able to consistently produce outstanding results to residents of the greater St. Louis area with two convenient locations for dental implants, oral plastic surgery in a gentle and relaxing environment.